professor of voice. For music students, she filled the role of surrogate mother, morale booster, staunch supporter, and tireless steward for three decades. Among the distinguished alumni who were touched by her humor, caring, and kindness were Damon Gupton, Darnel Ishmel, Tami Lee Hughes, Karen Johnson, and Sean Panniker, to name just a few. Burton was also minister of music, pianist, organist, and choir director for the New Hope Baptist Church in Ann Arbor, started by her brother, the Rev. Albert J. Lightfoot, in 1965. 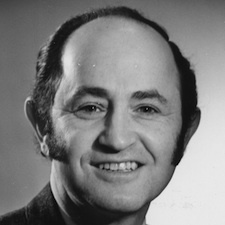 University, serving on multiple committees before retiring in 1996. Contributions in Professor Chudacoff’s memory can be made to SMTD’s Edward Chudacoff Endowment Scholarship Fund. The world lost one of its great pianists and composers on January 27, 2013 with the passing of William Doppmann (BM ’56, MM ’58). A prodigy from Louisville, Kentucky, Doppmann studied at the Cincinnati Conservatory of Music through his high school years and was a veteran of more than 500 performances by the time he entered college. During his sophomore year at U-M, he won both the Walter W. Naumburg Award and the Michaels Memorial Award, the only musician ever to win both prizes in a single season. He later won the Leventritt Competition as well. After graduation and a year of independent study, Doppmann spent two years in the U.S. Army followed by 13 years as a professor of music and artist-in-residence at three major universities. While raising his family in the Pacific Northwest, he further developed as a composer and pianist and returned to performing in 1982, reaping great critical acclaim. He performed recitals in the United States, Canada, Mexico, Europe, South America, and the Far East and was a soloist with major orchestras and at top music festivals around the world. 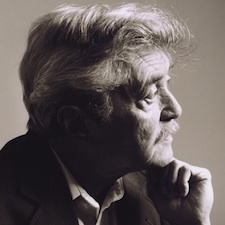 As a composer, Doppmann was the recipient of several competitive grants and awards including two Guggenheim Fellowships. As a distinguished alumnus of SMTD, he was a recipient of the Hall of Fame Award. He served as artistic director of the Port Townsend Chamber Music Society (Washington) for 20 years and his legacy lives on in his many chamber music and solo recordings. Gordon A. Hardy (BM ’41, MM ’46) musician, teacher, and administrator, died on January 7, 2013. Born in Hudson, Indiana, Hardy enlisted in the U.S. Navy in the midst of his academic studies at U-M, serving as an officer in WWII’s Pacific theatre. Following the war, he finished his master’s in music theory and composition at U-M before moving to New York to pursue a bachelor of science in piano and to work in musical theatre. He taught at The Juilliard School from 1952-65 and was dean of students from 1965-77. During this time, he also worked at the Aspen Music Festival and School (AMFS), first as an assistant to the president, and then as dean of the Festival's summer education program, beginning in 1962. He resigned from Juilliard in 1977 to become president of the AMFS, where he is celebrated for initiating many forward thinking educational programs. He retired from Aspen in 1990. Roger E. Jacobi (BM ’48, MM ’51), professor emeritus of music, died on November 4, 2012. He began his career at the Ann Arbor Public Schools as a music teacher from 1948-56 and music coordinator from 1959-68. He began teaching at U-M in 1957, becoming a full professor in 1966. He directed U-M’s annual Midwestern Conference and oversaw the massive job of moving the School of Music into the Earl V. Moore Building in 1963-64. 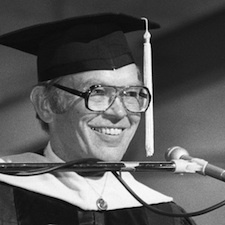 In 1971, Jacobi was briefly associate dean before becoming president of the Interlochen Center for the Arts. During his 18-year tenure there, he gave stability and direction to an institution struggling to balance the traditions of the 45-year-old Camp with the adventurous 10-year-old Arts Academy. At the same time, he developed a balanced budget, oversaw major construction projects, and introduced jazz and creative writing to the Camp curriculum. One of his greatest memories was hosting President Gerald Ford at a High School Symphonic Band concert in his honor in 1975. Jacobi’s wife of 62 years, Mary Jane, predeceased him last June. A memorial service for Roger Jacobi will take place at Interlochen in the summer of 2013. 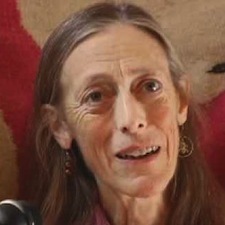 Ceal Phelan, one of Philadelphia’s most popular stage actors, died on February 5, 2013. Born in Royal Oak, Michigan, Phelan had no intention of being an actress until she took her first acting class at U-M. Rather than pursue a career on Broadway, she was drawn to regional theatre for the community it created and the opportunities it provided. In 1978 she and her husband, director and actor Peter DeLaurier, cofounded the Delaware Theatre Company in Wilmington, Delaware. In 1981 she made her first appearance at People’s Light & Theatre Company in Malvern, Pennsylvania, becoming an active company member in 1989 as an actor, teacher, and director. Phelan also regularly appeared with Pennsylvania’s Lantern Theatre Company, the Arden Theater, Act II Playhouse and others, and taught and directed at Temple, Arcadia, and West Chester universities and the University of Delaware.